Located in Historic New Kent County, set half way between Williamsburg and Richmond, is one of the area’s best kept secrets. 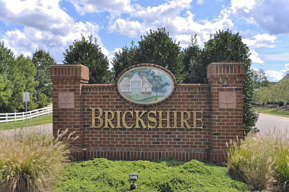 Brickshire is a golf community offering the amenities todays home buyers want, with, price points ranging from the upper $200’s for villa style homes and smaller semi-custom homes to well over $1,000,000 for large custom homes. While Blue-Green, the developer, had sold out all of the lots several years ago, there are now re-sale lots currently available, both on the golf course or backing to woods, ranging from, one third of an acre to over an acre. 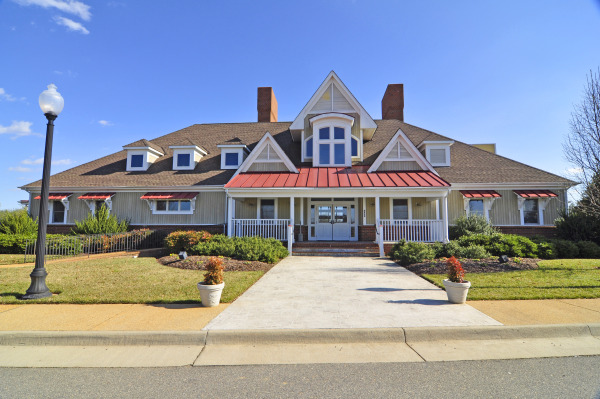 Buyers have a choice of finding the right lot and building a custom home with the builder of their choice, or selecting from some of the wonderful resale homes currently available at surprising reasonable prices. When compared with the Williamsburg market, buyers can expect to save around $100,000 on an equivalent home. And we have a varied inventory for buyers to select from. With a 30 minute drive from central Williamsburg and Richmond, you will find the peaceful golf community, set among the pines and 2 golf courses: Royal New Kent is at the front of the subdivision and our homes are built all around Brickshire’s golf course. 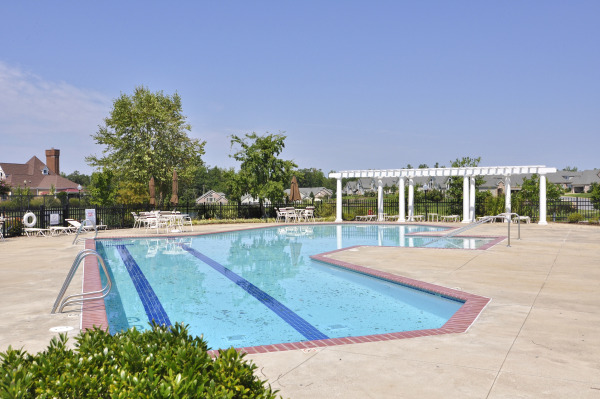 Near the front of Brickshire are our 2 Home Owner buildings; one houses our HOA manager who is available 5 days a week from 9 to 5, as well as a large meeting room, and the other is the HOA Clubhouse with a meeting room and exercise facility. This building has a large porch overlooking one of the stocked ponds here in Brickshire. And across the parking lot are the tennis courts and pool (with lifeguard), and pool house. The golf club is part of Traditional Golf Properties and is semi-private, so you can either pay to play or become a member. Membership has no initiation fee and brings 3 courses to play: Brickshire, Royal New Kent and Stonehouse. The grill room is open to the public. Brickshire is a Curtis Strange Signature Golf Course, rated 4 ½ stars by Golf Digest. Brickshire also offers miles of walking trails through the woods and by the ponds and are well used by residents. Kings Pond also is stocked and has a fountain, providing the sound of water to everyone nearby. Further along Kentland Trail is the Recreation area offering a playground, sports field, covered picnic area and horseshoe pit, as well as a basketball backboard. An RV/Boat storage lot is available for a small fee for residents. Brickshire is one of the friendliest places I have been. The social committee and children’s committee schedule frequent activities for residents to get together and have fun – on cinqo de Mayo there was a great picnic/dinner in a huge tent. The Women’s club has activities to help support those in need in New Kent County. There is an out to lunch bunch that tries a different restaurant every month and all kinds of groups and clubs ranging from golf for varying levels of expertise, to card, sewing, art, poker, etc. And one-2 Friday’s a month the grill room is open for dinner and we get together to catch up with everyone. Brickshire’s HOA is self- managed and our Board and committees are volunteers from the community. Our dues are $560 a year, significantly lower than similar subdivisions. The villa homes provide exterior maintenance and a separate $207 per month applies to them for that maintenance and trash collection. Whether looking for a place to build a new home, or just find that perfect place to move right into, come take a look at Brickshire; you will be surprised at how fast you fall in love with all that we have to offer.